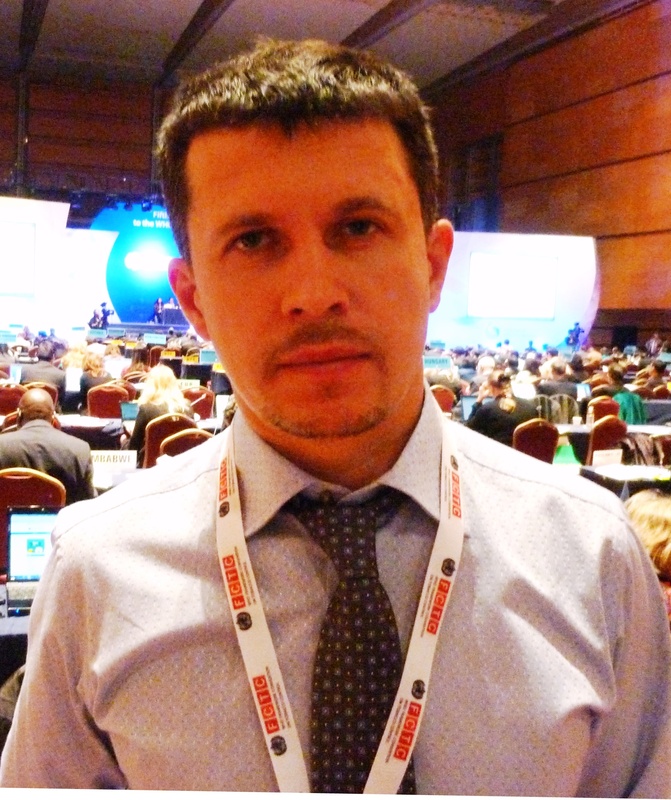 Andriy Skipalskyi was feeling proud, even triumphant, when he arrived last March at the World Conference on Tobacco or Health in Singapore. Ukraine’s parliament had just voted to approve a public smoking ban, and its president had just signed a bill to outlaw tobacco advertising and promotion. These were revolutionary steps in chain-smoking Eastern Europe. The reason was a bewildering move by Ukraine’s trade ministry. Within hours of the historic moves to curb smoking at home, the ministry, prodded by the tobacco industry, contested a tough anti-smoking law in Australia, half a world away. In a complaint to the World Trade Organization, Ukraine challenged the law, which takes effect December 1, that will ban distinctive logos and colors and require cigarettes to be sold in plain generic packs. Despite Ukraine having no tobacco exports to Australia—and therefore no clear economic interest—the trade ministry branded the law a violation of intellectual property rights under trade agreements Australia had signed. Following Ukraine’s lead, Honduras and the Dominican Republic soon joined the attack on Australia, filing similar complaints with the WTO. The case, which will be decided by a three member arbitration panel, signals an emerging pattern in the global tobacco wars. As top cigarette makers lose clout with national governments, countries around the world are adopting more stringent rules to combat the public health burdens of smoking. To strike back, top cigarette makers are increasingly invoking long-standing trade agreements to try to thwart some of the toughest laws. The WTO case is only part of a three-pronged legal assault against Australia, aimed both at reversing the plain packaging law and warning countries of what they might face if they follow its lead. Public health advocates fear the legal attacks will deter other countries from passing strong anti-smoking measures. The “cost of defending this case, and the risk of being held liable, would intimidate all but the most wealthy, sophisticated countries into inaction,” said Matthew L. Myers, president of the Campaign for Tobacco Free Kids in Washington D.C. The dispute underlines broader concerns about trade provisions that enable foreign companies to challenge domestic health, labor and environmental standards. Once a country ratifies a trade agreement, its terms supersede domestic laws. If a country’s regulations are found to impose unreasonable restrictions on trade, it must amend the rules or compensate the nation or foreign corporation that brought the complaint. Advocates say countries should be free to decide how best to protect public health, without being second-guessed by unelected trade panels. Moreover, they argue, tobacco products, which kill when used as intended, should not be afforded the trade protections of other goods and services. Worldwide, nearly 6 million people a year die of smoking-related causes, according to the World Health Organization, which says the toll could top 8 million by 2030. With fewer people lighting up in wealthy nations, nearly 80 percent of the world’s 1 billion smokers live in low and middle-income countries. But the industry has watched with growing concern as more than 35 countries have adopted total or near-total bans on cigarette advertising. Its big profits depend on consumer recognition of its leading brands. Yet in many countries, the once- ubiquitous logos and imagery are receding, leaving the cigarette pack as a last refuge against invisibility. Now the pack, too, is under attack. 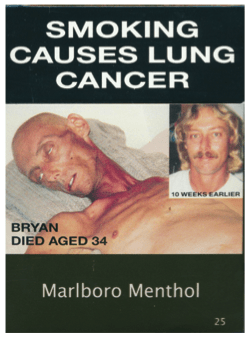 Along with plain packaging laws such as Australia’s, countries are weighing retail display bans that keep cigarette packs out of view of consumers; and laws requiring graphic health warnings so large that there is barely any room for trademarks. Tobacco companies contend that countries enforcing such rules are effectively confiscating their intellectual property and must pay damages. The industry also claims that measures like plain packaging are counterproductive. “We see no evidence—none at all—that this will be effective in reducing smoking,” Nixon of Philip Morris International said in an interview. In fact, he said, generic packaging likely will increase sales of cheap, untaxed counterfeit smokes, thus increasing consumption. 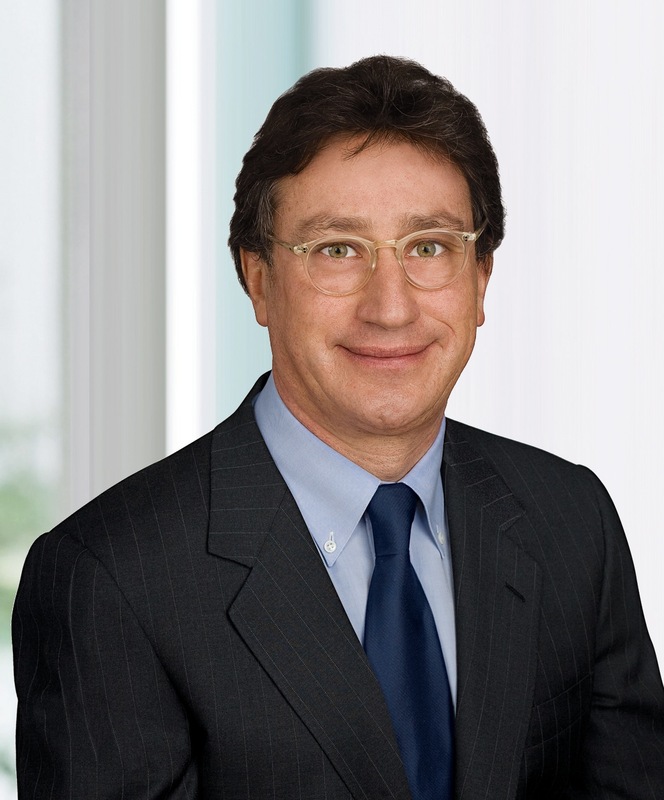 Louis C. Camilleri, chairman and CEO of Philip Morris International, drew a line in the sand in remarks to Wall Street analysts in November, 2010. The company would use “all necessary resources and…where necessary litigation, to actively challenge unreasonable regulatory proposals,’’ Camilleri said, specifically mentioning plain packaging and display bans. Up to now, tobacco-related trade disputes have mostly involved quotas or tariffs meant to protect domestic producers from foreign competition. In the 1980s and ’90s, for example, the Office of the U.S. Trade Representative successfully challenged such barriers in Taiwan, Japan, South Korea and Thailand, boosting sales for U.S. cigarette makers R.J. Reynolds and Philip Morris. The U.S. got a taste of its own medicine when a WTO panel in April upheld a ruling that the U.S. had discriminated against Indonesia by enforcing a ban on flavored cigarettes that exempted menthol but included Indonesian clove cigarettes. The U.S. has until next July to amend the law by treating all flavorings the same or to reach an agreement with Indonesia on compensation. The key issue now, though, isn’t traditional barriers but whether health regulations unduly restrict the movement of goods. In challenging anti-smoking rules, the industry has drawn on global treaties, such as the 1994 pact known as TRIPS (the Agreement on Trade Related Aspects of International Property Rights), that include broad protections for intellectual property and foreign investment. In the hands of aggressive corporations, such provisions have become ‘’the ticking time bomb for this century as governments tackle problems like tobacco, the environment, obesity, access to essential medicines,” said Myers of the Campaign for Tobacco Free Kids. Events in the southern African nation of Namibia reflect the debate. 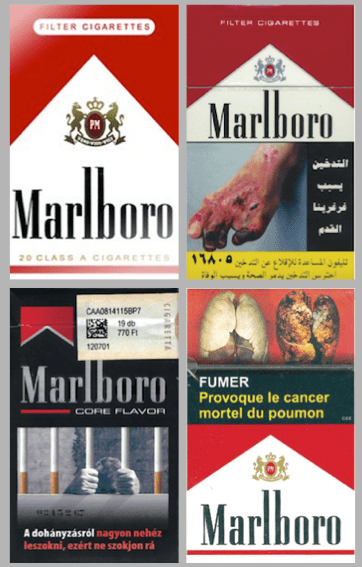 In November, 2011, Namibian officials proposed to require graphic warnings on at least 60 percent of cigarette packs. The tobacco industry argued in written comments that such large warnings weren’t justified and, in the words of British American Tobacco, would “impose a very significant barrier to trade.” Namibia should pursue public health goals “in a manner that is respectful of its international obligations,” the company said. The proposal is still pending, but Stanley Mungambwa, a senior health official in Namibia, sounded a defiant note in an email to FairWarning. Canada provided an early example of the possible chilling effects of industry threats. Though considered a leader in tobacco control, Canada in the mid-1990s withdrew a proposed plain packaging rule under legal pressure from the industry, which raised the issue of Canada’s trade obligations. That happened even though internal documents produced years later in tobacco litigation showed that industry officials, despite their public stance, feared their legal position was weak. As a 1994 memo from British American put it, “current conventions and treaties offer little protection” against plain packaging rules. Two recent legal decisions confirmed that such cases are no slam dunk for the industry. In September, a court in Oslo, Norway, rejected a lawsuit by Philip Morris Norway AS that challenged the country’s retail display ban. The company had claimed that in enforcing the ban, Norway had violated the European Economic Agreement because it had failed to rely on the least trade-restrictive measures to achieve its public health goals. Pack of Marlboro Menthol in Australia. As of December 1, all cigarettes must be sold in plain packaging with graphic warnings covering 75 percent of the front and 90 percent of the back of the pack. The second example was Australia’s victory in the first round of one of its legal defense of plain packaging. Rejecting a lawsuit by the four top global companies–Japan Tobacco Inc. and Imperial Tobacco, along with British American and Philip Morris International—Australia’s High Court upheld the law as legal and constitutional. The law requires cigarettes to be sold in drab olive-brown packs, with pictorial warnings covering 75 percent of the front and 90 percent of the back. The goal is to reduce “the attractiveness and appeal of tobacco products to consumers, particularly young people,” a spokeswoman for Australia’s Department of Health and Ageing said in an email to FairWarning. But two major challenges remain. In one, Philip Morris Asia has accused Australia of violating a 1993 bilateral trade pact between Hong Kong and Australia. Such agreements, known as investor-state treaties, allow a foreign investor by itself to bring damage claims against a country. Lawyers for Australia contend the claim should be tossed out, citing a nimble asset-shuffling move by Philip Morris. To create grounds for the claim, they say, the company transferred its Australian operations to Hong Kong-based Philip Morris Asia after the plain packaging plan was announced. Nixon of Philip Morris said the transfer should have no impact on the outcome. The case is before an arbitration panel of the United Nations Commission on International Trade Law. And the WTO cases remain alive. Cigarette makers are paying for heavyweight lawyers to represent Ukraine, Honduras and the Dominican Republic and press ahead with the challenges. As company representatives have told FairWarning, Philip Morris International is paying the firm of Sidley Austin to represent the Dominican Republic, while British American is picking up legal expenses for Ukraine and Honduras. “We are happy to support countries who, like us, feel plain packaging could adversely affect trade,” said British American spokesman Jem Maidment. It’s not unusual in trade disputes for corporations to give legal assistance to governments with mutual interests. In this case, however, the three countries appear to have little, if any, direct stake in Australia’s tobacco control policies. Tobacco exports from Ukraine to Australia are nonexistent, according to figures from Australia’s Department of Foreign Affairs and Trade. During the last three years, tobacco exports from Honduras and Dominican Republic have averaged $60,000 (U.S.) and $806,000, respectively. Responding in April to an inquiry from Ukrainian journalists, the country’s Ministry of Economic Development and Trade said it had “a policy of supporting Ukrainian producers and protecting their interests in the internal and external markets.” In this case, the ministry said, it had “received concerns” about the plain packaging law from the Ukrainian Assn. of Tobacco Producers, made up of the top tobacco multinationals, and from the Union of Wholesalers and Producers of Alcohol and Tobacco Association. Seeking to reverse Ukraine’s action, Andriy Skipalskyi, the 38-year old chairman of a Ukrainian public health group called the Regional Advocacy Center LIFE, collected hundreds of petition signatures at the Singapore conference asking his nation’s authorities to withdraw the challenge. The government ignored the request, and Honduras and Dominican Republic soon followed with complaints of their own. Konstantin Krasovksy, a tobacco control official in Ukraine’s Ministry of Health, told FairWarning the countries had allowed themselves to be used. “Honduras, Dominican Republic and Ukraine agreed to be a prostitute,” he said. 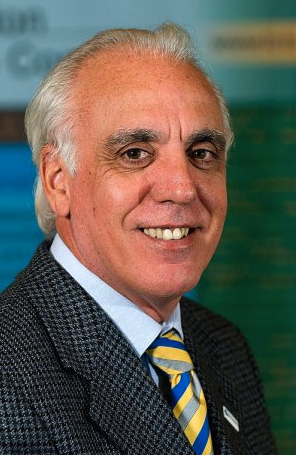 Uruguay’s stance reflects its own high-stakes battle with Philip Morris. The tobacco giant has challenged Uruguay’s requirement of graphic warnings on 80 percent of cigarette packs. Philip Morris is also fighting a rule that limits cigarette marketers to a single style per brand, making it illegal to sell Marlboro Gold and Green along with Marlboro Red. The challenge by Swiss units of Philip Morris cites a 1991 bilateral treaty between Switzerland and Uruguay. Since filing the complaint in 2010, the tobacco company has also closed its only cigarette factory in Uruguay. The regulations “are extreme, have not been proven to be effective, have seriously harmed the company’s investments in Uruguay,” according to a statement by Philip Morris International. Uruguay, with a population of less than 3.5 million and an annual gross domestic product of about $50 billion, seems a poor match for the tobacco giant, which recorded $77 billion in sales in 2011. Amid reports that government officials were seeking a face-saving settlement, Bloomberg Philanthropies announced in late 2010 that it would fund the legal defense of Uruguay’s anti-smoking laws. New York Mayor and businessman Michael R. Bloomberg, an ardent tobacco foe, affirmed the support of his namesake charity in a call to Uruguayan president Jose Mujica. Advocates fear other countries may have a harder time standing their ground. “Bloomberg has been very generous, but his resources are not unlimited and he can’t pay to defend every tobacco regulation in every country,” said Chris Bostic, deputy director for policy for the group Action on Smoking and Health. FairWarning is an online, investigative news organization based in Los Angeles that focuses on safety and health issues. This article is published with permission under a Creative Commons license. NextHas Recycling Lived Up to Its Promises?